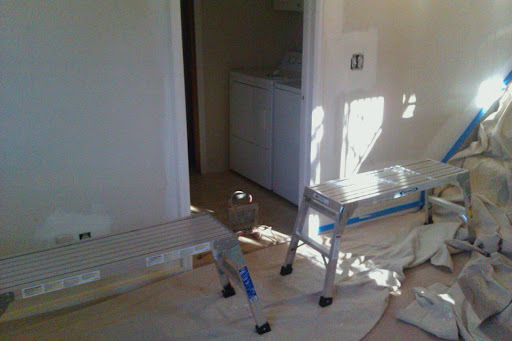 The only thing better than one work platform is two work platforms!! I love using work platforms. Most ceilings are around an eight foot height and most walls are roughly twelve feet long. It doesnt make sense to climb up and down a six foot ladder all day when you only needed an additional fifteen inches to reach the ceiling. Platforms are also half the weight of a six foot ladder. Save time by investing in one of these... save even more time by setting up two beside each other.